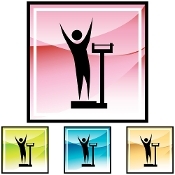 Indication for use: Provides support for managing weight along with proper dieting. Includes 24 homeopathic focused ingredients to support weight loss, detoxification, fat metabolizers, endocrine, mood and appetite support. **Products & Claims: Although many clients have experienced substantial weight loss while on the diet, the FDA requires that we state the following: These products and the claims made about this product, on or throughout this site, have not been approved or evaluated by the FDA for weight loss, this information is to be used as a reference only and are not approved to diagnose, treat, cure or prevent disease. No suggestions or advice on HealingPowerWithin.net or through other means of communication should be construed as medical advice. The information provided in this listing is for informational purposes only and is not intended as a substitute for advice from your physician or other health care professional or any information contained on or in any product label or packaging. You should not use the information on this site for diagnosis or treatment of any health problem or for prescription of any medication or other treatment.